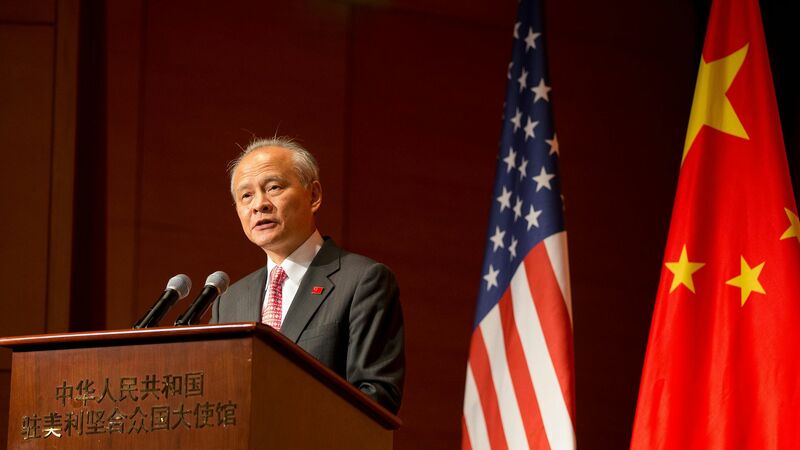 China's ambassador to U.S.: We want to turn Uighurs into "normal persons"
Cui Tiankai, China's ambassador to the U.S., told Reuters that China is trying to "re-educate" its Muslim Uighur minority and other Muslim groups in Xinjiang province to "turn them into normal persons [who] can go back to normal life." The big picture: China's mass detention and surveillance against Uighurs in Xinjiang have faced international criticism — with the UN classifying it as a "massive internment camp." The Trump administration has weighed sanctions against the Chinese government in response, and Cui told Reuters that China will "retaliate...in proportion" if sanctions are imposed, likening it to sanctioning the U.S. officials over the fight against ISIS.